German Chancellor said that migrant and refugee arrival numbers have to be cut back across every European Union member state. 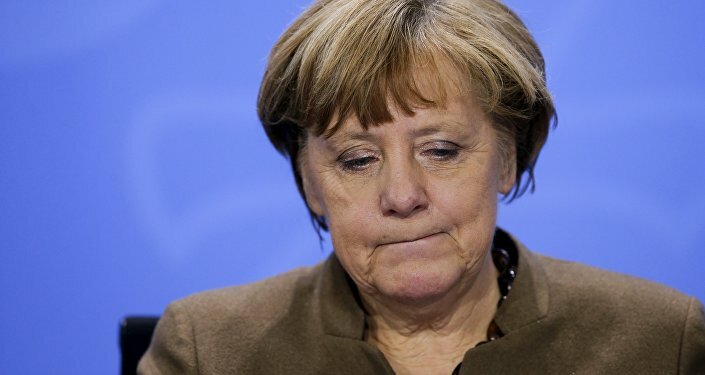 MOSCOW (Sputnik) – Migrant and refugee arrival numbers have to be cut back across every European Union member state, including Greece, German Chancellor Angela Merkel said on arrival to the EU-Turkey summit on Monday. “We want to make sure that the number of irregular refugees decreases not for some countries, but for all, including Greece. Therefore we need a stable solution under which we can ensure the protection of external borders,” Merkel said in remarks broadcast by the European Commission audiovisual services. The German chancellor underscored the need to tackle the European refugee crisis beyond coordinating with Turkey. She expressed hope EU countries would jointly advance on the issue in Brussels. The EU-Turkey summit focusing on stemming migration flows into the bloc is kicking off in Brussels. The EU leaders are expected to ask Ankara to prevent refugees in Turkey from fleeing to Europe and resettle migrants, whose asylum requests in EU states were rejected. Europe has been beset by a refugee crisis, with hundreds of thousands of undocumented migrants fleeing their home countries in the Middle East and North Africa to escape violence and poverty, with many of those using the so-called Western Balkan route to get into the western EU states. Brussels and Ankara drafted the EU-Turkey action plan in November 2015, under which EU member states pledged to pay Turkey 3 billion euros over the next two years and fast-track Ankara’s EU accession talks in exchange for efforts to limit migrant arrivals.